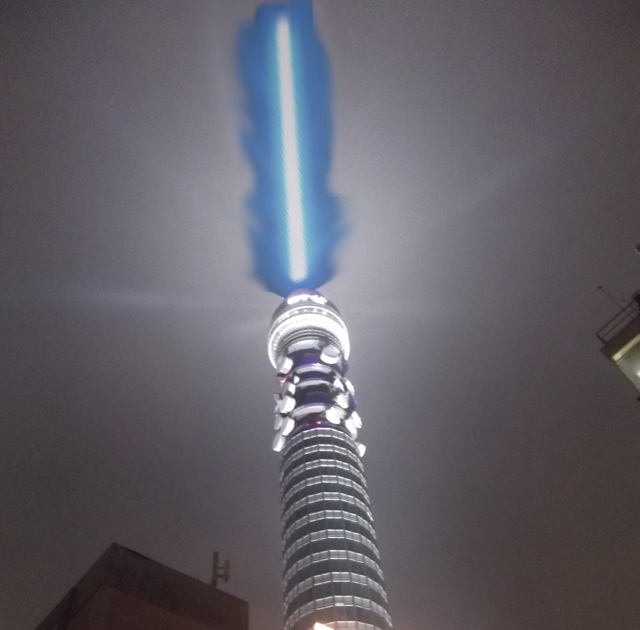 All eyes on the BT Tower at 8pm tonight, as Anthony Daniels (C3PO in Star Wars) flicks a magic switch to turn the Fitzrovia landmark into a giant lightsabre. It's all a big PR stunt to mark the launch of the complete Star Wars saga on Blue Ray. We hope it looks more impressive than our shoddy artist's impression, above.